Keywords: Incomplete paraplegia, Methylprednisolone sodium Succinate, Spinal cord injury. 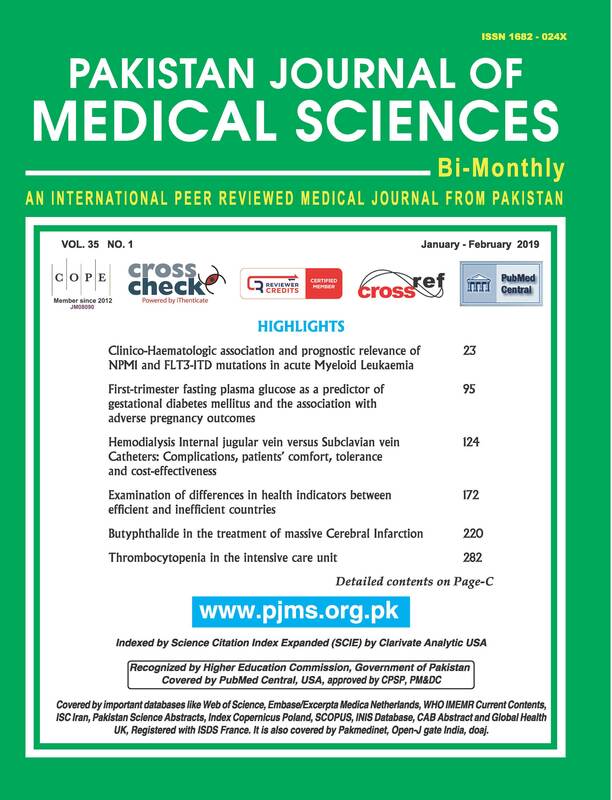 Objective: To evaluate the clinical efficacy and safety of intermittent injection of methylprednisolone sodium succinate in the treatment of cervical spinal cord injury complicated with incomplete paraplegia. Methods: Seventy-eight patients with cervical spinal cord injury complicated with incomplete paraplegia who were admitted between August 2016 and December 2017 were enrolled and grouped into an observation group and a control group using random number table, 39 in each group. Patients in the control group were given vertebral body decompression and bone grafting and internal fixation according to the severity of spinal cord compression, while patients in the observation group were treated by methylprednisolone sodium succinate in addition to the same treatment as the control group. The clinical efficacy and medicine associated adverse reactions were compared between the two groups. Results: The cure rate of the observation group was significantly higher than that of the control group (46.2% (18/39) vs. 20.5% (8/39)). After the treatment, the Japanese Orthopaedic Association (JOA) score and American Spinal Cord Injury Association (ASIA) score of the two groups after treatment were significantly higher compared to before treatment, and the scores of the observation group were much higher than those of the control group (P<0.05). The incidence of adverse reactions of the observation and control groups was 15.4% and 17.9% respectively, and the difference was not statistically significant (P>0.05). Conclusion: Intermittent injection of methylprednisolone sodium succinate has definite efficacy in treating cervical spinal cord injury complicated with incomplete paraplegia, with a low incidence of adverse reactions; hence it is worth promotion. Wang W, Zuo B, Liu H, Cui L. Intermittent injection of Methylprednisolone Sodium Succinate in the treatment of Cervical Spinal Cord injury complicated with incomplete paraplegia. Pak J Med Sci. 2019;35(1):141-145.